Tyres play a vital role in the overall safety of your car. In Ireland alone, an Garda Siochana reported 172 road collisions with tyre defects as a factor between 2007-2012, including a number of fatal collisions. Because tyres are the only contact between your car and the road, it is essential to ensure your tyres are safe, the correct size and in roadworthy condition. While you must ensure you maintain your tyres regularly, it is also important that you are purchasing the correct premium tyres to begin with! What kind of tyres should I buy? There are a number of factors you should take into consideration when purchasing premium tyres for your vehicle. You should always check your car’s manual to ensure you purchase the correct size of tyre for your car. A set of tyres that doesn’t fit correctly is a major safety issue. Aside from size, there are three distinct types of tyres – winter, summer and all-season. 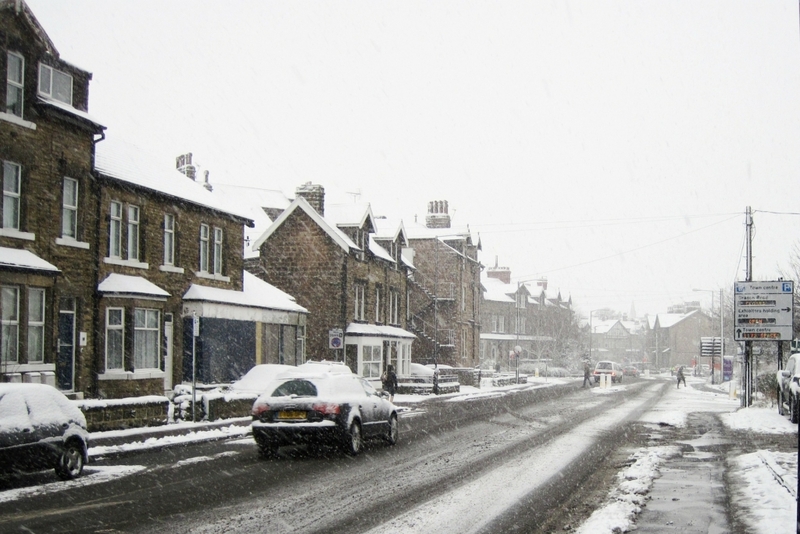 Winter tyres have a distinctive tread pattern that will improve the car’s grip in snow or icy conditions. While there is no legal requirement to install winter tyres on your car in Ireland, it maybe a good idea to consider these with increasingly poor winter weather conditions on the rise. If you choose to install winter tyres, it’s wise to install a set of four so that it doesn’t affect your steering. It’s also important to remember that while you can leave winter tyres on year-round, they can wear faster during warmer weather. All-season tyres, while perfect for spring, summer and autumn months, are really not designed to grip the road well in snow or icy conditions. Our best advice is to switch out the full set for winter tyres ahead of colder weather for optimal safety and performance. What should I look for when purchasing a premium tyre? All tyres sold in the European marketplace should carry an ‘E’ mark to show that it meets minimum EU or international standards and has been tested to ensure it has adequate tread depth and performance ability. They should also carry an ‘S’ mark, a sound marking that certifies that the amount of road noise produced by the tyre meets EU standards. New tyres should also always carry a performance label, as required by EU law. This performance label displays how well the tyre performs in wet conditions, fuel efficiency and road noise. 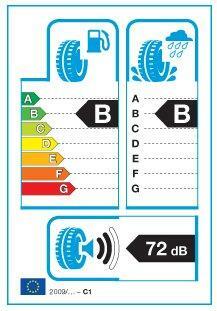 Tyres are rated from A-G, with an A-rated tyre offering premium environmental and safety performance. How can I maintain my tyres? You should perform regular tyre pressure checks to ensure they are at the correct rate. 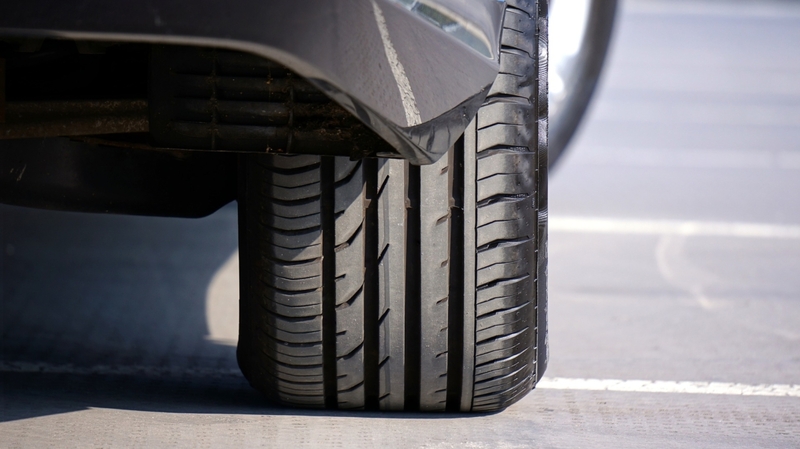 You will want to ensure that the tyres are not over- or under-inflated. Correct tyre pressure can vary from vehicle to vehicle, so it’s important to check your owner’s manual for the correct pressure. Tyres with the incorrect pressure can not only be a safety hazard, but they can also affect your fuel efficiency. Check the tread depth of your tyres – there is a legal minimum tread depth of 1.6mm. If tyres are close to this depth of below it, your vehicle’s safety can be seriously compromised, especially in wet weather conditions, and you should replace the tyres as soon as possible. It’s also important to remember that your tyre’s treads will be checked at your NCT. Tread depths of less than 3mm will result in an advisory to replace your tyres soon, and anything under 1.6mm will result in a failure. You can also check out this great guide from Road Safety Authority for more advice on purchasing and maintaining your tyres. Larkin Automotive is a leading supplier of leading brand premium tyres in Dublin and can offer you sound advice on which tyres are most suitable for your vehicle. This month we are offering incredible discounts on premium tyres and will beat any competitor’s pricing to ensure your car is fitted with the safest and highest performing tyres on the market. We also provide a range of services including puncture repairs, wheel balancing and alignment. 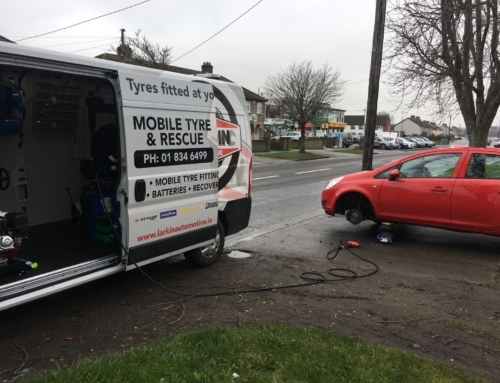 Call to see us in Finglas today to see how we can provide the very best tyres for your vehicle! Site Designed & developed by Inspired Design - © Copyright 2018 Larkin Automotive Ltd.